We understand the challenges that may arise as a person ages, so we provide compassionate dental care that caters to the unique needs of our elderly patients. A person with arthritis, for instance, may neglect daily oral care due to movement problems that interfere with brushing and flossing. 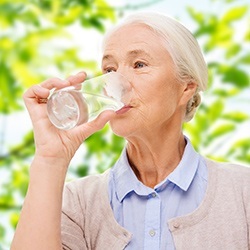 Additionally, many senior patients take medications that cause side effects, such as dry mouth, that contribute to decay. Some may not have seen a dentist in years. 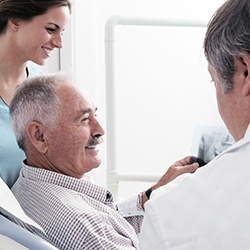 Finding a dental practice that specializes in treating older patients and has the expertise to earn the trust of senior patients is essential to a positive dental experience and lasting oral health. 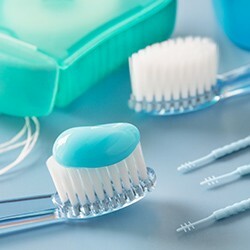 Medical conditions that affect movements, such as arthritis in the hands and fingers, make daily brushing and flossing difficult, if not impossible, to perform. It’s essential that patients who have difficulty brushing see their dentist regularly for thorough cleanings and exams. The dentist may also recommend an electric toothbrush to make daily oral hygiene more comfortable and easy. Medications, cancer treatment, and certain diseases contribute to dry mouth. Many seniors attempt to curb dry mouth by sucking on hard candies, which greatly increases a person’s risk of gum disease and tooth decay. Our dentists can provide thorough exams to detect early warning signs and offer oral hygiene tips that will help restore moisture. In general, people with dry mouth should drink plenty of water, chew sugar-free gums and candies, and use a fluoride toothpaste and mouth rinse. 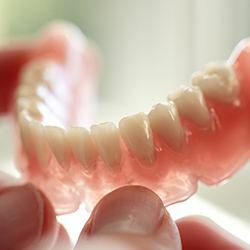 If you wear dentures, your dentist will check to make sure they fit properly, look for any irritation in the mouth, and examine the appliance for wear and tear. Aside from general discomfort, ill-fitting dentures can lead to more serious oral health concerns. Most dentures need to be relined or replaced every 7 to 10 years to ensure optimal function and comfort. Providing comprehensive dental care for people with special needs requires a high level of expertise, patience, and compassion. Fortunately, advances in dentistry have significant benefits for elderly patients. Oral sedation enables a patient to stay completely relaxed even during the most complex procedure. Less invasive procedures minimize recovery time. Even patient education has improved with new tools to help illustrate oral care techniques for both patients and caregivers. Overall, with a dentist who understands the unique needs elderly patients have, oral health care can be a positive and empowering experience for everyone involved.